There are a number of procedures that are absolutely necessary for the successful house removal, no matter if you are moving in Brooklyn, Queens, or moving between states. Professional moving company Athletic Movers are familiar with the process, but most of the customers are not, and we believe it is our responsibility to introduce the people that are planning their move to the basics of a complete house remove. Athletic Movers realizes this “brief” online through our contact form, on the phone or during the free remove survey, which we organize with our prospect clients. 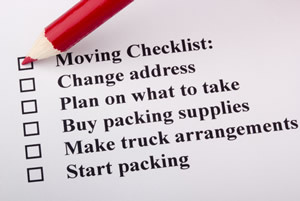 In order to be even more useful to the people preparing their house removal, our moving experts drafted a “Moving house checklist”, which you might print and follow through for a stress-free house relocation.